How bad will Trump be? I’m holding out hope he’ll be sort of a Ronald Reagan type. Reagan isn’t the God-like figure that many Fox News watching conservatives think he was. He was pretty bad in a lot of ways. In fact I’d say he was probably worse than his predecessor, the much maligned Jimmy Carter. Perhaps I’ll get into this topic more in a future post. Still, Reagan was somewhat of a mixed bag while everyone who has followed him has been pretty much all bad. The political class thought Reagan was a loose cannon who would start WWIII. Trump was thought by some (including me) to be more of a realist on foreign policy, but he’s started out his presidency basically threatening every foreign country on the Neocon/Hillary Clinton enemies list. So now a lot of Libertarians and paloeconservatives at least, thinks he’s a mad man too. As an aside, isn’t it interesting how Trump’s almost insanely hawkish demeanor thus far has actually earned him some new found respect among many in the DC establishment? 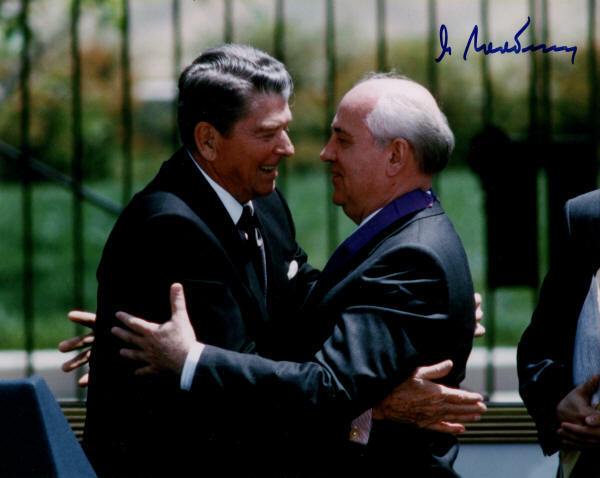 Reagan’s anti-Soviet rhetoric was considered a political liability by the US ruling class in the early 1980s, but Trump’s respectful comments about Vladimir Putin made him unfit for office as far as the Democrats, Neocons, and most media outlets were concerned. Put a small number of Marines into an Arab country (Lebanon, and then pulled them out after a bunch of them were killed). Spend a ton of money on weapons. Trump’s basically done those 4 things. And make no mistake these were all really bad things with both Reagan and Trump* But that was pretty much it with Reagan. He really wasn’t a war president. He invaded Granada which took a few hours, but that didn’t escalate into anything serious. At any rate, I think Trump can probably avoid sending troops into a tiny Caribbean island. Let’s just hope Trump, like Reagan, ends up making friends with Russia (like he promised repeatedly during his campaign). Let’s hope his bombing of Syria and Afghanistan was the end of those interventions, and he let’s the US gracefully bow out in defeat. And let’s hope the troops he’s sent to Syria get pulled out. And maybe we’ll be lucky and it won’t take over 200 dead marines for him to do it. And I obviously don’t want increased military spending, but I’m guessing the price tag on a new aircraft carrier named U.S.S. Donald trump will be less costly than a full scale war. It’s amazing to think that from about 1975 until the Bush Dynasty assumed power in 1989 and immediately invaded Panama, then Iraq, and then Somalia, the United States was more or less at Peace. At least compared to the 1990s and certainly compared to the post 9/11 21st century. Trump could still return us to a less bellicose foreign policy and let us relax on that front. We’ve got enough problems in this country, that we don’t need to be debating who should rule Ukraine, or Syria, or some islands in the Indian ocean as if it’s any business of the average American. The people that voted for him certainly didn’t do so because they wanted to fight North Korea. I’m losing faith that this “return to normalcy” can happen. But I still see a small glimmer of hope. However, it is fading fast. *I would like to point out that I think the Soviet regime was horrible and communism is/was a very bad political and economic system. So I don’t have a problem with the president expressing that as Reagan did. I just don’t believe the Cold War, NATO, Vietnam, Korea, Afghanistan, etc. contributed to the security of the United States. They were all a waste of money and lives as far as average Americans were concerned. Ronnie should have been more worried about what was in the interests of United States citizens and less obsessed with his crusade to destroy the Evil Empire. Regardless of how badly the Soviet regime treated its citizens, they weren’t suicidal and could have been dealt with like other world powers. The US didn’t have to constantly be on the brink of nuclear war in the twentieth century, and we don’t need to be now either. Despite the completely irrelevant Nazi analogy by the CNN idiot, this is a pretty good job by Rand Paul. He’s a little too much of a politician for my tastes. Not as much of a straight talker as his father. But you’ve got to love the swipe he takes at McCain near the end. I should have known better, but I thought here was a guy who didn’t owe the establishment anything. Everyone with any significant power during the Bush-Obama years was against him. They did everything in their power to destroy him and prevent him from winning the presidency. The media, virtually every well known politician, Hollywood celebrities, Wall Street, “respectable” Europeans, the foreign policy “establishment.” They were all aligned against him, and despite whatever party affiliation or claim to impartiality they may have held prior to 2016, they all did whatever they could to restore the Clintons to power. And Trump specifically campaigned against Mid-East Wars. Aside from immigration it was his number one issue. He said it wasn’t in American interests to intervene in all these foreign conflicts and he was right. I certainly had my doubts about him, but I thought at least he won’t mindlessly attack, bomb, or invade these Muslim countries anymore. At least there will be less war under this clown than there was under Obama. Certainly less than there would be under a Clinton regime. Less than three months in and he’s bombed Syria because of some chemical weapons attack that will almost certainly turn out to be a false flag. Or maybe an instance where the Syrian military bombed a warehouse where the rebels were storing chemical weapons. Why did he do it? Because he was upset that “beautiful babies” were killed. So he bombed a country and is ready to escalate a war that was winding down. This escalation will certainly result in even more dead babies. It will result in more refugees flooding the West including the United States. It will inspire more terrorists. Incredibly, he seems ready to risk war with Russia to overthrow the Syrian dictator which is pure insanity. This after promising for the past year that he would get along with Putin. Is there anything positive coming? Doesn’t look good to me. I guess at least TPP is dead. Although even Killary campaigned against that thing. Don’t join the military. Don’t wave the flag. Don’t support the D.C. regime under any circumstances. Don’t put any faith in any candidates for office. Even supposed outsiders will immediately capitulate and go along with the Deep State the minute they assume the presidency.